Ryu Murakami is a Japanese novelist, short story writer, essayist and filmmaker. He explores human nature through dark themes of disillusion, drug use, murder and war, giving his work a surrealist, sinister air. He is perhaps less well-known internationally than he deserves to be. Singapore-based Piers Butel, who writes on culture and travel, here urges you to read him. Scenes of staggering violence, a cast of misfits and outsiders, a twisted world that seems familiar but also deeply disturbing and a feeling that things probably won’t end up all right. The novels of Ryu Murakami are not always easy to read, but with drumming heartbeat-fast plots, cinematic sheen and a unique style, you won’t have time to be bored. Ryu Murakami is often described in Western media as a dark twin of Haruki Murakami, the world-famous author of Norwegian Wood and Kafka on the Shore. They are both popular Japanese authors, roughly 70 years old and, well, they have the same last name. But it’s not just their names and ages that are similar. Both the Murakamis deal with loneliness and alienation in a modern-day Japan that can be deeply inimical to people who don’t fit into the mainstream. Both authors also have a lightly surreal tone that creates an almost comic element to their novels. In practice however, you’re very unlikely to confuse the two. Ryu’s novels are dark, very dark. To give you an idea from my bookshelves, one of his novels deals with a mass murderer preying on Tokyo’s nightlife, another with children abandoned by their mothers in station lockers. It’s not just the plots though, as I mentioned earlier, Ryu simply doesn’t hold back when it comes to depicting scenes of a violent or sexual nature, sometimes both together. For the most part he uses violence deliberately and carefully, however indiscriminate it might seem. With Ryu’s outcast characters living in a world that doesn’t have a place for them, violence is often the only way they can express their emotions or have any impact on the world. Ryu also judges us, the readers, for our willingness to both condemn extreme violence, whilst also consuming the media that contains it. Ryu Murakami grew up in post-war Japan as it underwent huge political, social and cultural upheaval. As Japanese traditional culture clashed and meshed with American and Western culture, a new generation was introduced to ideas of individualism and counterculture. According to Ryu this led to some young people falling into the gaps between the cultures and so becoming social outcasts. In fact, Ryu himself was something of a teenaged rebel, taking part in a school protest inspired by the countercultural anti-Vietnam war protests in the US. It is true that his novels can sometimes lean heavily on a crutch made of exciting plots and thought-provoking themes. His characters themselves, although interesting, are often underdeveloped. Motivations are never explored in depth and some secondary characters can come across as merely devices to further the plot. His books can also suffer from a little bloating and could perhaps have benefited from a little judicious editing. 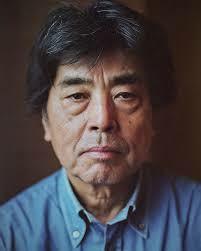 Despite his popularity and success in Japan, he has remained a largely peripheral author in the West and although he has written over 30 novels, very few have been translated into English. The ones that have been, range from short and snappy thrillers like In the Miso Soup to sprawling mini-epics like Coin Locker Babies. I would say these two are excellent options if you want to start reading Ryu Murakami. Coin Locker Babies is widely considered his most iconic novel and really throws you in at the deep end with its surreal Tokyo-but-not-as-we-know-it setting, convoluted plot, dark humour and brutal violence. It follows the eventful lives of two children abandoned in railway station lockers as they grow up in a world that has rejected them and as they plan their rejection of it in turn. In the Miso Soup is a more ‘straight’ horror-thriller, with a noir-ish tone. It follows just one character as he tries to do his job, guiding tourists around Tokyo’s sleazy nightlife whilst staying alive and out of trouble, with tension building as someone targets workers in the city’s bars. Ryu Murakami's novels aren’t for everyone it’s certain. But for those willing to endure the bloodier scenes and dark themes you will be rewarded. His novels present a side to Japan that is completely different from the tea houses, temples and Zen that we usually consume. Under the flashy, celluloid-style veneer, Ryu Murakami is making serious points about Japanese society and the modern world in general. Whenever I finish a book of his, it is the underlying sadness and nihilism that lingers longer than the blood and gore and those feelings stay long after the book has relinquished its place on my bedside table.